This article discusses three items (listed below). Existing processes, events, and technologies are described to support their accuracy. Then, it is introduced how people or groups can apply these items with established technologies, to create the possibility of saving individual human lives that would otherwise always be lost. 1. The biological processes in cells and organisms (collectively referred to as life), including human life, can be slowed, stopped, stored for an indefinite period of time, and restarted (resuscitated). 2. Organisms can be repaired from a physically damaged to a healthy state through the guided positioning, manipulation, and supplementation of their components. Components in this context refers to organs, tissues, cells, cellular structures, molecules, atoms, and subatomic particles. 3. Historic knowledge and past technologies have severely limited humanities ability to take advantage of the above two items. Existing technologies and research are empowering us to reduce those limits, and to expand current medical applications. Future medical repair technologies are only limited by actual physical laws. Any object that is made of matter can be created, repaired, or destroyed. More specifically; Every object in existence was created at some point, by the rearrangement of matter through some physical process. Every object we are aware of, (with the possible exception of black holes ), can be destroyed through the disassociation of its parts. Most types of everyday objects in our environment, including organisms and humans, undergo physical repair by human beings somewhere on Earth, on any particular day. The sophistication of a repair is generally a function of the practitioners’ knowledge, skills, technologies, and tools. However, all repairs have certain characteristics in common, including these; 1) The repair of an item always involves the positioning, manipulation, and/or supplementation of the item’s components. 2) The smaller the components that one is able to directly work with, the more sophisticated a repair can potentially be. The above two paragraphs contain only common observations. However, the everyday concept of “repair” is not usually thought of in the context of biological creatures, like people. That is because people, like all other currently known organisms, are incredibly complex kinds of matter. Therefore, the skills needed to repair people are also proportionally complex. In other words, some kinds of matter are more difficult to repair than others. To illustrate this “difficulty scale”, here are a few types of repairs, both mechanical and biological. They range from the relatively easy, to the increasingly difficult. 10. Repairing every damaged cell, tissue, and organ in a recently deceased human being. An adult human body has approximately 60-90 trillion cells,  and approximately 1000 individual organs. (206 bones, 700 muscles, and at least 60 other types of organs and organ pairs ). Number 6 on the list was actually accomplished very recently. In 2011, for the first time in history, mankind used tissue engineering to grow a new human organ in the laboratory, for the purpose of replacing one that was not functioning. The patient, Andemarian Beyene, a 36-year-old geology student from Eritrea, had been suffering from late-stage tracheal cancer. Beyene’s own stem cells were used to grow a new trachea, which was later surgically implanted into his throat, to replace his own severely damaged organ. The second half of the list contains types of repairs that we have not yet accomplished. However fantastic the latter items may seem, those repairs are just as physically possible as the ones that precede them. This is a very important point. In order for the following sections to be understood, a person must first understand that there is nothing about repairing individual cells, or whole organs, that violates the laws of physics. It only requires research and technology that has not been fully developed. We can do many things with today’s technology that were considered impossible only 100 years ago. Unless we destroy ourselves as a civilization, we will almost certainly be able to accomplish things in another 100 years, which are considered impossible today. No one can predict exactly how technology will develop. The types of technologies that would be required to repair individual cells on a molecular level, are very complex and difficult. Technologies are emerging today, that could progress to make comprehensive cellular repairs possible in the future. These include nanotechnology, advanced computing, genetics, biotechnology, tissue engineering, and tissue regeneration. How exactly does a thing that is already broken, start working again? When you break a machine, whether a mechanical machine, or the biological constituents of a cell, organ, or an organism, it stops working. Once a broken machine is fully repaired, it spontaneously starts working again. There is nothing magic about that process, but it does require a little explanation. Imagine a basketball that is rolling down a hill. If you stop the basketball halfway down the hill, and puncture it with a knife, it will deflate and stop rolling. If you repair the puncture, inflate the basketball, and set it back where it was, perfectly still, it will start rolling downhill again without any more assistance from you. A basketball is a simple machine, and it spontaneously starts to roll again because it has a type of energy called “potential energy”. In the case of the basketball, its potential energy comes from its position on the hill, in the presence of Earth’s gravitational field. The same concept applies to any other machine. If you repair a broken car engine, fill it with gas, and close the starter circuit by turning the key, it will start running. That’s because the car battery and the gasoline have potential energy (chemical potential energy ). Potential energy is just another way of saying that the car has “stored energy that is ready to be used”. Biological systems have chemical potential energy as well. If you accidentally sever one of your fingers from your hand, the cells do not immediately lose their potential to function. Success rates for surgical finger reattachments that are performed within 12 hours of the injury, are around 87%. A certain species of tree frog in Canada (the wood frog or “Rana Sylvatica”), routinely survives the winter by allowing itself to be frozen in the snow. It stops moving, and lets itself freeze completely solid. It stops breathing… it’s heart stops beating, and it has zero brain activity. Its skin and internal organs become hard as a rock. A veterinarian could declare this frog to be clinically dead, and they would be correct. A few months later when the warm weather returns, the frog thaws out. Soon, its body begins to function, and after a few hours it hops away. These frogs are able to literally come back to life from death, after they warm up. They perform this remarkable feat using the chemical potential energy that is stored in their bodies, combined with other uniquely adapted biological mechanisms. Through evolution; This frog developed the ability to allow its life to stop, to wait out hard times in a preserved state, to resuscitate itself, and to continue its life when conditions are better suited to thrive. This is a process that human scientists are only beginning to investigate. Of course, we are not frogs. People do not have the ability to pause their life using their biology alone. However, we are beginning to develop and enhance this ability, using our medical technology. Even today, there exist certain situations where human beings are brought back to life from a cooled or frozen, clinically dead state. The death of a person or an organism is not instantaneous. The loss of biological functionality is a physical process that commonly involves various stages, each taking some time to complete. 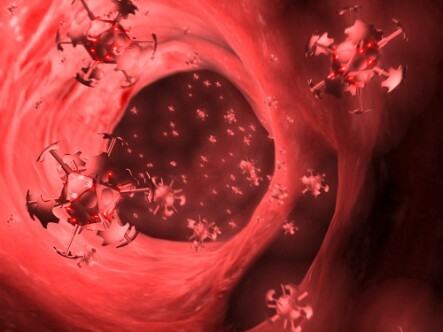 These may include; Initial deterioration or injury, organ failure, cardiac arrest, respiratory arrest, oxygen starvation (ischemia), tissue damage (ischemic cascade), cellular death (necrosis), and decomposition. Given certain natural or man-made criteria, biological death or clinical death is not always permanent, it is sometimes reversible. The phrase “clinical death” is currently defined as the absence of blood circulation and breathing. Nature has developed ways to reanimate various creatures from the dead. In certain favorable situations, doctors can bring human beings (both adults and embryos) back from clinical death as well. This is known as resuscitation. The longest that a human being has survived an accidental cardiac arrest, is over three hours. Anna Bagenholm was brought back to life after her heart ceased beating for 3 hours and 20 minutes. She was clinically dead for 40 minutes of that timeframe (with no blood circulation, no breathing, and no CPR). Her story can be read on Wikipedia, or in her CNN news article. (See references 25 and 26, or enter “Anna Bagenholm” into the Google search engine). The longest time that a human life has been completely stopped, and restarted, is 13 years. During those years, they had no biological or chemical activity of any kind. Laina Beasley of the USA was conceived, grew into a human embryo, and was frozen, as an embryo, in liquid nitrogen. After 13 years in cold storage, she was brought back to normal temperatures, and implanted into her mother’s uterus. From that point, she developed in the normal way into a beautiful, healthy baby girl. The previous stories demonstrate processes that can be difficult to believe or accept, because they challenge how we think about the cycle of life. Biological life, including human life, can sometimes be slowed, or stopped, and restarted years later. Under controlled circumstances, an organism can even die (experience clinical death), and be brought back to life. I invite you to pause for a moment to reread the previous sentence, and to consider its implications. The word “death” has regularly changed in meaning over the last 200 years. Its oldest meaning was probably that a person stopped moving, or perhaps that their insides came out of their body. Eventually it meant that they stopped breathing. Then the definition was changed to include the lack of a heartbeat. Today, clinical death is defined as the cessation of breathing and blood circulation. However, doctors know that this definition is still incomplete. Emergency room doctors have a saying that “A person is not dead, until they are warm and dead”. This reflects the current knowledge that hypothermia can slow down, or even stop, biological processes. Most people think of death as a permanent prospect, a permanent state. However, as we have seen here, death is not always permanent. If dead organisms and people can sometimes be brought back to life through the use of today’s technology, then it stands to reason that as technology continues to advance, our collective definition of “irreversible death” could, and probably would, continue to be adjusted over time, to reflect current and future medical advances. This brings up an important question: What kinds of death are truly irreversible? In other words, what kinds of biological damage could never be repaired, no matter how advanced technology gets? When does the repair of an object (an object composed of matter), become impossible within known physical laws? I think this question can be answered most easily, by thinking about a much simpler machine than a human being. Let’s think about an automobile; A simple, old-fashioned, 1980’s era Volkswagen Beetle (a “VW Bug”). 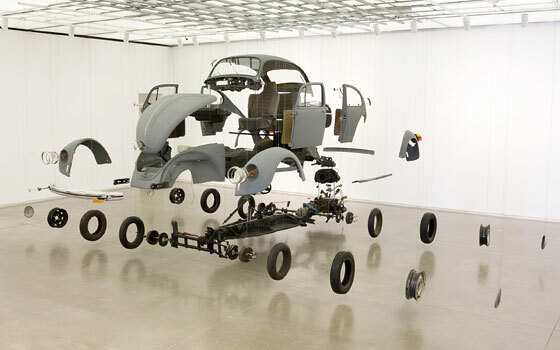 If you have a broken VW Bug, and you are a skilled automobile mechanic, you can fix almost any kind of problem. You could replace a broken engine, pull out a dent in the body, fix a damaged paint job, or replace the passenger seats. Even if you found a badly damaged VW Bug in a junkyard, with half of its parts missing, and the other half terribly rusted… if you were a skilled mechanic you could make it like new again. You could replace any part that needed it. You could sand away the rust. You could turn it into a beautifully functioning, and good looking machine. Of course the more damaged, or bent, or crushed the car was, the more difficult the repair could be. Conversely, the more of the important structures that were intact or at least recognizable, the easier the repair could be. The more skilled you are, the more damage you can fix. Theoretically, if you took an entire VW bug, crushed it, and melted it down into scrap metal, a large team of skilled craftsmen could take that raw metal, and use a machine shop to create an entirely brand-new VW bug from the atoms of the old one. Any materials such as rubber or synthetics that were vaporized could be replaced. Theoretically you could melt down a car, and still bring it back to a functional state, given the proper skills, tools, and resources. So what is necessary to repair a VW Bug? The most important answer is -information-. You can only repair a car if you know exactly how it works. A general knowledge of automobile function combined with a minimum of skill will allow you to perform simple repairs. More advanced information, will allow you to perform more advanced repairs. If you have access to the Volkswagen company’s entire technical schematics for a VW Bug, as well as a fully staffed machine shop, you could build one from scratch, or you could repair even the most severely damaged car, that was at least somewhat recognizable. However, not all VW bugs are the same. They may have different colored paint jobs. They may be different models, or years, or they might have different number of cylinders in the engines, or other kinds of differences. So if you want to repair a particular VW Bug, if you want to bring it to a state that closely resembles its previous condition, you not only need to know how to fix cars in general, you also need to have information about the particular car that you’re working on. You need to have some information about -what it was like before it was broken-. If a VW bug has rusted in the junkyard for a couple of decades, you can actually gain quite a lot of information from its remains. A skilled forensic team can find out exactly what color the paint was, no matter how much paint is missing. They could look at the VIN number and find out what year it was made. They could look at the remains of the engine and determine exactly what kind of engine it used. They could gain enough information from the rusted vehicle, to make repairs that bring the machine very close to its original state. They can fix the car, and retain its character. However, if the same VW bug was vaporized, and no other information about it existed, then there would be no way to repair it, because you would not know what kind of Bug it was. You could still build -a- Bug, but without more specific information, you could never build -that- Bug again. It is physically possible to repair any material object as long as you have enough information about the previous state or states of the object, as well as a generalized knowledge of how similar objects function. Also required is sufficient technology to manipulate the matter of the object to bring it into whatever particular state that you desire. For crude manipulations of matter, simple technology is sufficient. When matter is more complex, or damage is more severe, then more advanced technology is needed. We do not yet have the technology to perform these kinds of life-saving repairs. However, there is a historically supported possibility that human beings will continue to expand their technological capabilities. As long as medical technology keeps advancing, these kinds of “miracles” would become more and more technologically feasible. It may seem that future technology is not very relevant to the present. We are currently mortal creatures. We grow old, and we die. However, the principles outlined in this paper open up an intriguing possibility of extending life; A way of taking advantage of tomorrow’s technology, today. Information is the most important requirement to making a complicated repair. If a human being was able to transport enough of their recently deceased body, in a well preserved state, into the future, then it is feasible that future humans and technology would be willing and able to repair the person who was damaged. Imagine yourself as the rusted, dead VW Bug; The one that sat in a junkyard for two decades. As long as there is enough remaining of the car after its storage timeframe, there is a chance that it could be repaired. The same is true of your body, including your brain, your organs, and your cells. For such people, it could be like waking up in a foreign land. It seems unlikely that they would be alone, there would need to be people and processes to help them through the transition. Still, it could be nearly as strange and exciting, or nearly as scary, as being born for the first time… all over again. But why would a person want to be brought back to life after cryonic suspension, only to suffer the deterioration of continued old age? The answer is; There would be no need for them to be old anymore. Their organs and tissues could be changed and repaired to function well, and to appear younger. For people who are resuscitated from a suspended state, aging and disease would no longer be concerns. The same types of advanced medical technology that would be required to repair and resuscitate a human being, would also be fully capable of curing any currently known disease, retarding or stopping the aging process, and restoring a person to youthful health. Advanced tissue regeneration could replace missing body parts, or even provide entirely new bodies, with the identity preserved in the brain. Rejuvenation could make a person look, and feel, 30 years old. seems likely that we will achieve greater and greater medical sophistication. A time may arrive when we are no longer in danger of our bodies being damaged by common biological processes. To put it in more general terms, it is likely that we will one day have great control over our physical forms, and our own health. We don’t have to wait until those goals are realized, to maximize our chances of well being, and biological survival. We have the options every day, of applying nutrition, exercise, medical care, self care, and cryonics to help ourselves, and to help those we love. M G Lay, Ways of the World. : Sydney: Primavera Press, 1992, p. 51, ISBN 1-875368-05-1. James P. Allen, The Art of Medicine in Ancient Egypt. : The Metropolitan Museum of Art, 2005, p. 70. Johnson SL, History of Cardiac Surgery. : Johns Hopkins Press, 1970, p. 5. K. Eric Drexler, Engines of Creation: The Coming Era of Nanotechnology., 1986, ISBN 0-385-19973-2. Tamai S. (1982) Twenty years’ experience of limb replantation – review of 293 replants. p.3. Craig Glenday, Guinness World Records 2008., 2008, ISBN-13: 978-0553589955. WF Rall and GM Fahy, “Ice-free cryopreservation of mouse embryos at -196 degrees C by vitrification. PMID 3969158.,” Nature , vol. 313, no. 6003, pp. 14-20, February 1985. The internet can be a convenient source of life extension information, if you know which words to search for. To learn more about cryonics, search the internet (or Google) for: “Cryonics”, or “Cryonics FAQ”. “Methuselah Foundation”. For technical topics of interest, search for “Nanotechnology”, or “Biotechnology”. This is a good video introduction to cryonics, which also touches on life extension. To arrange to be cryopreserved upon your legal death, contact a cryonics service provider. These organizations can also answer many common questions about cryonics.